Russia soccer coach Fabio Capello doesn't have much confidence in his players' ability to always write "intelligent" tweets, so he decided the best thing to do was to ban them from using Twitter while at the World Cup, he said. "I can tell you that tweets sometimes can be a nuisance if they are not written in an intelligent fashion," said the Italian manager Monday, known for his discipline, before Russia's World Cup opener against South Korea at the Pantanal arena on Wednesday 2 a.m.
"To prevent such a nuisance, I'd rather ask my players to abstain for a month." Capello said he was not keeping his Russian squad from communicating with fans and media, noting that he has regularly made two players available on a rotating basis for interviews in the run up to Russia's first World Cup finals in 12 years. 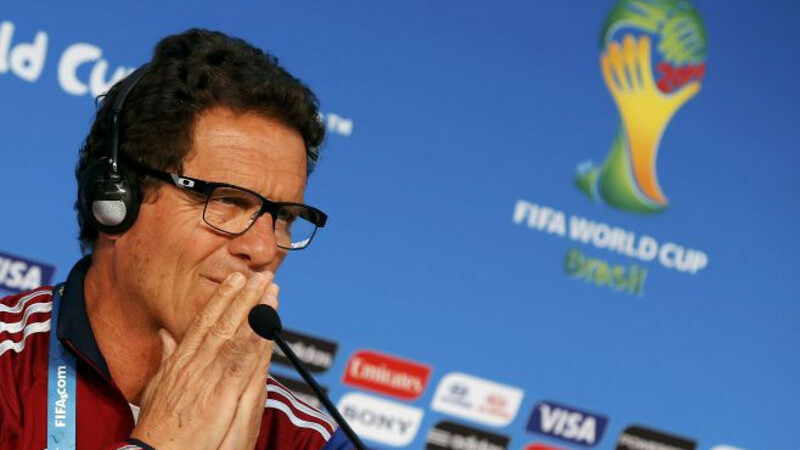 Capello did not drop his tough exterior when asked about celebrating his 68th birthday in Brazil on Wednesday. "I never expect presents from anyone or anywhere," he said.